Cognitive power required to process animations is greater than what is required in reading text or viewing static diagrams. In simple words, it takes greater mind power to process animations than static diagrams. Static diagrams are not processed immediately as a whole and they require learners to process details and relationships between elements. Study on eye movements reveal that diagrams, like text, are processed sequentially. Often the viewer has to discover the best order to process the information. If diagrams can be broken down into smaller and simpler sections, and then sequentially displayed to learners, cognitive load can be reduced and learning enhanced. What Mireille and Barbara’s research proposes, is a simple yet elegant method of using the advantage of graphics and animations while keeping cognitive load to the minimum. The immediate advantage over animations is in decreasing cognitive load and over static diagrams is providing learners the best order for processing information. What does this mean for Instructional Designers? We worked out an example to turn theory into practice. We start by providing learners with an overview diagram. Then, step them through the smaller parts of the diagram sequentially. One thing after the other. This method allows learners to view the whole, and then guides them to sequentially review the components of the whole. In doing so it establishes part to whole relationships and also provides the learner guidance on how to process the information. Revealing information one component at a time manages cognitive load. 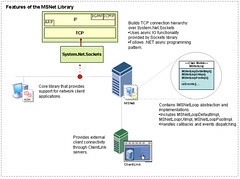 Present an overview diagram. Allow the learner to process the diagram the way they think suitable. Let them discover, search, and schematize the information in their mind. Then, provide learners an option to step through the diagram sequentially using a pre-determined instructional flow. If learners view the diagram and understand the components and their relationship, they will skip the sequential exploration, if they don’t, the sequential exploration will help them understand and elaborate it. Note: if you intend to provide more information in the sequences than in the overview diagram, this step should not be optional. Present the whole diagram again at the end of the sequential steps. Allow learners to download, print or save the diagram and the individual steps. These can be used as job-support aids or can be emailed out to learners post-completion of the learning event (online/classroom). Do you use lots of animations in your learning material? Eager to know what you think about this article.